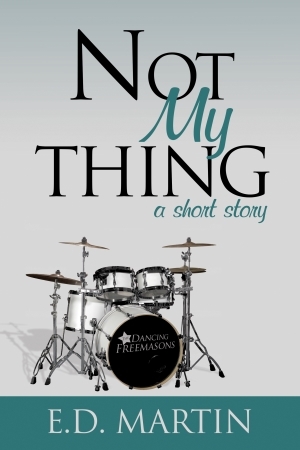 This week continues with the story from last week, “Not My Thing,” which was just released as a free short ebook by Evolved Publishing. 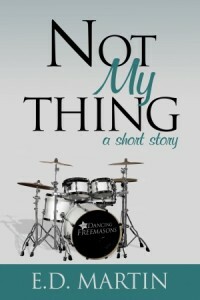 When The Dancing Freemasons embark on their first major tour, Jeff’s dreams of being a rockstar have come true – until he can no longer connect with the music. One night after a show, he meets a woman who might be the one to get the music flowing again, but is the cost worth it? For the last few scenes, Jeff’s been awkwardly chatting with that woman, and finally worked up the courage to ask her to grab a bite to eat. “Give me your hand,” he says. Her eyes narrow, but she complies. Get the whole thing free at Smashwords or Barnes and Noble, and help make it free at Amazon too by reporting a lower price. And as always, post a link to your eight sentences blog entry, or join the fun at the Weekend Writing Warriors website. Oh, do I love and understand this eight. ED, you’ve got it on with this story. Big thanks. Ooh, I LIKED that. I hope he doesn’t say that to all the girls because it was cool. Excellent excerpt, can’t wait to read more. Wonderful 8! I love the last line, it’s a great response. I definitely got a feel for the scene. He’s definitely not your stereotypical rock star! I think she’s hooked. He sure has a way with words. I can see why she thinks he’s pretentious, but he seems good in my books. Nice snippet!